Your professional experience and skill set perfectly match what the company is looking for. So why aren’t you lined up with job interviews? 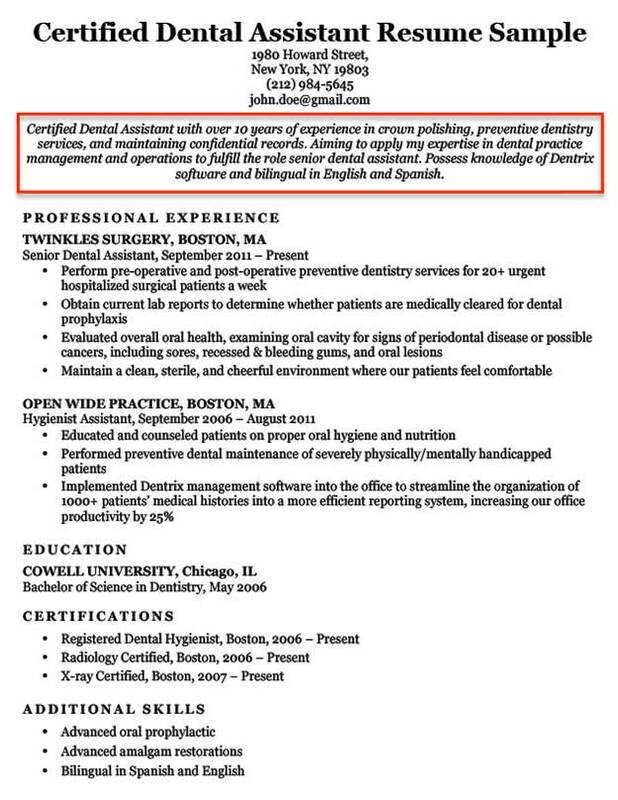 Your Resume Objective isn’t up to scratch. The good news is that writing a strong one is easy with our step-by-step guide! We have created three resume objective writing guides with examples for you to consult based on your level of professional experience. Each guide contains step-by-step explanations and examples, so you know exactly how to create a winning one. Follow it, and you’ll be practically walking through the doors of your dream company. 1. What is a resume objective? Contrary to popular belief, a resume objective (also known as a career objective) is not a generic description about how much you want the job, or how the position you are applying for will further you personally or professionally. It should be a customized statement which clearly but concisely communicates to a hiring manager how your skills, knowledge, and attributes will support the goals of the particular position and company you are applying for. A well-crafted resume objective is one of the easiest ways to stand out from other job applicants. A single job can attract dozens, if not hundreds, of applicants all vying for the same position. It’s the role of a hiring manager to find something captivating amongst the overwhelming number of resumes they receive. A strong career objective can make you stand out from the crowd. It is one of the most underutilized ways you can convince a hiring manager that you’re the right person for the job. In this section, we will guide you step-by-step through the process of writing this most misunderstood of resume sections. Each guide is based on a different level of professional experience, so find the one most appropriate to your particular situation. Simply follow the instructions and tips, and you will learn exactly how to capture the attention of hiring managers. 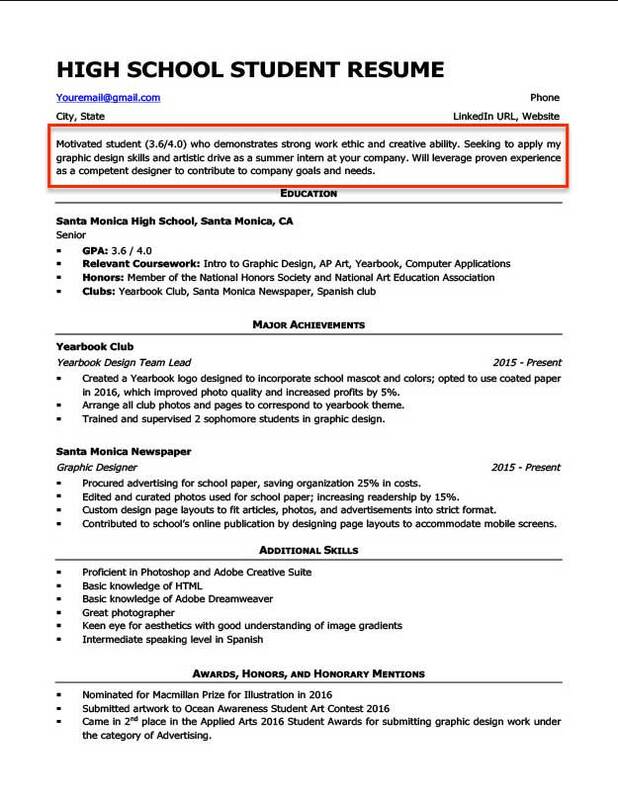 As a high school student, you will either have minimal to no professional experience. So what’s the best approach to writing this section if you want to land an entry-level job, internship, or apprenticeship? The key is to emphasize what you do have. Every high school student has relevant skills, experiences, and positive character traits that they can offer employers. But very few know how to sell these attributes confidently. Outgoing student with years of experience writing for my high school’s student newspaper. I am eager to offer my creative skill set to the role of Junior Reporter at your respected newspaper, All Eyes News. As an organized and proactive person, I will demonstrate a firm commitment to your company and its goals. This is a high school student career objective which uses the color coordinated three-sentence structure above. The student in the above example is applying for the position of a Junior Reporter at a newspaper, and has a creative streak. What makes this a well-written section? It is strongly inadvisable to just feature random experiences and skills in this section. Tailoring your resume objective to the position is key to making a winning one. The student effectively made a connection between their relevant skills and experiences, and their ability to fulfill the job position. Highlighting relevant attributes and experiences is critical to writing a strong career objective. Why? Above all else, you not only want to demonstrate to the hiring manager ways in which you’re an ideal fit for the position, you also want to show them how much you want it. This is why it is strongly inadvisable to just feature random experiences and skills in this section. Tailoring it to the position is key to making a winning one. How do I pick which skills and experiences to focus on? As stated above, you will need to select skills which have some relevance to the job you’re applying for. First, look at the job description to see if it indicates the type of skills the company is seeking. Then, reflect on the experiences and skills you have and draw parallels to those of the job description. What if I don’t have any relevant skills or experiences? Everyone has desirable skills and experiences to offer employers – including you! If you’re having trouble identifying them, the best place to start is by thinking about the clubs and activities you’re involved in at school. You may not have realized it, but your participation in various school clubs and activities has allowed you to develop a number of worthy skills and experiences to include in this section. As you’ll notice, there is a clear link between each activity and its associated skills. Don’t forget to include any experiences and skills you mention in your career objective in the body of your resume as well! You’ll definitely want to use any professional experiences you’ve accumulated as leverage to bolster your career objective. As a college student or recent grad, it’s likely that you have some professional experience to your name – whether it be through work-study, waiting tables at a local cafe, or working a couple of hours a week at your parents’ business. Writing a winning college student career objective is a relatively easy way to bolster your application for that internship or job you have in sight. Your college years are an opportune time to set yourself up for future employment by securing an internship, an entry-level job, or some part-time work. So you’re on the right path by reading this guide, which if followed, will give your resume an edge over other candidates. Just as important to highlight are your academic achievements and attributes (see the table ‘Professional Skills Accumulated at School’ above). Third Year Accounting student at Georgia Institute of Technology with nine months of work experience in admin at Smith & Waterhouse Accounting. As an organized and mathematically-minded individual, I will add significant value to the internship role at Myer Accounting. My strong work ethic and prior work experience will ensure that I make meaningful contributions to your company’s goals. 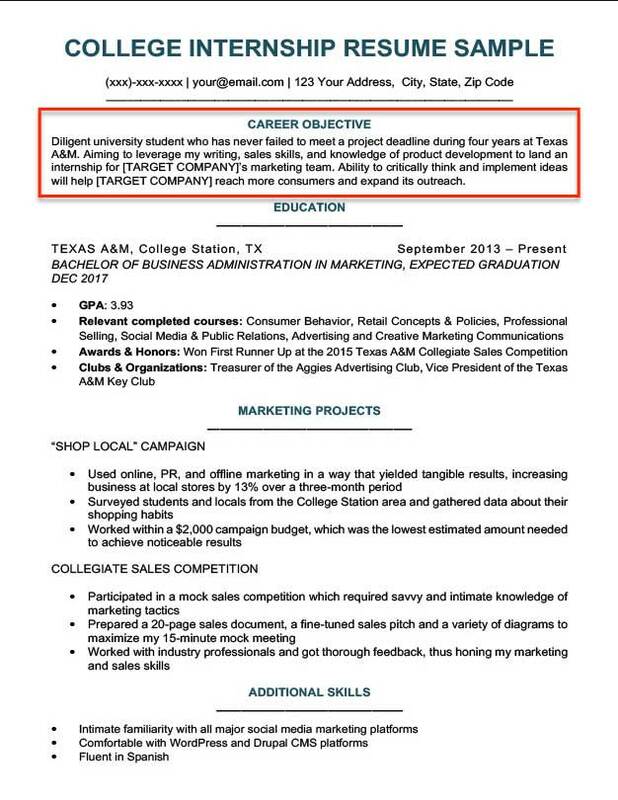 This is a college student resume objective example which uses the color coordinated sentence structure explained above. The student in the example is applying for an internship in an accounting firm, and prides themselves on their strong work ethic. The student has made explicit links between their degree, prior work experience, and skills, and the job they are applying for. Again, relevance is a fundamental consideration when selecting what to mention. How do I pick which skills and experiences to focus on? What if I don’t have any relevant skills or experiences? The answers to these two questions can be found in the previous section, High School Student Career Objective. Read over the whole section carefully in order to learn all about selecting skills. As you’ll discover, even if you don’t have any prior professional experiences, you can still draw on your school experiences. Think about the college clubs and academic pursuits you’re part of and pinpoint the skills you’ve developed from them. 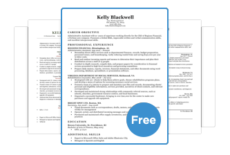 Read our free comprehensive resume aesthetics guide to help you to create a visually superior resume— one that stands out amongst fellow college graduates and other people vying for the job you want. Marketing Specialist with more than three years experience in online content and social media marketing. Seeking to apply my substantial knowledge and proven track record of effective SEO techniques and community engagement strategies to the role of Marketing Manager at Swish Marketing Solutions. I have a Master of Science in Marketing and have undergone training at over a dozen marketing conferences nationally and internationally. 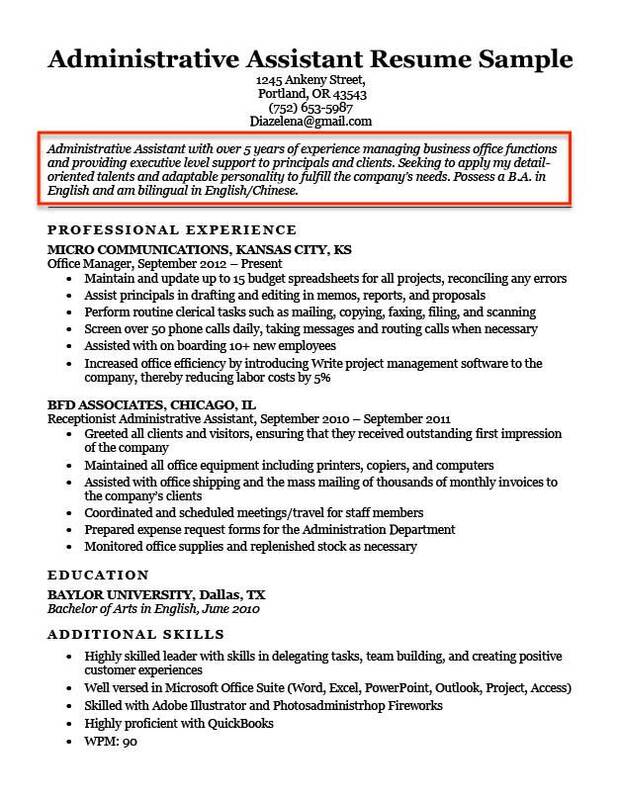 This is a professional resume objective example which uses the color coordinated sentence structure explained above. 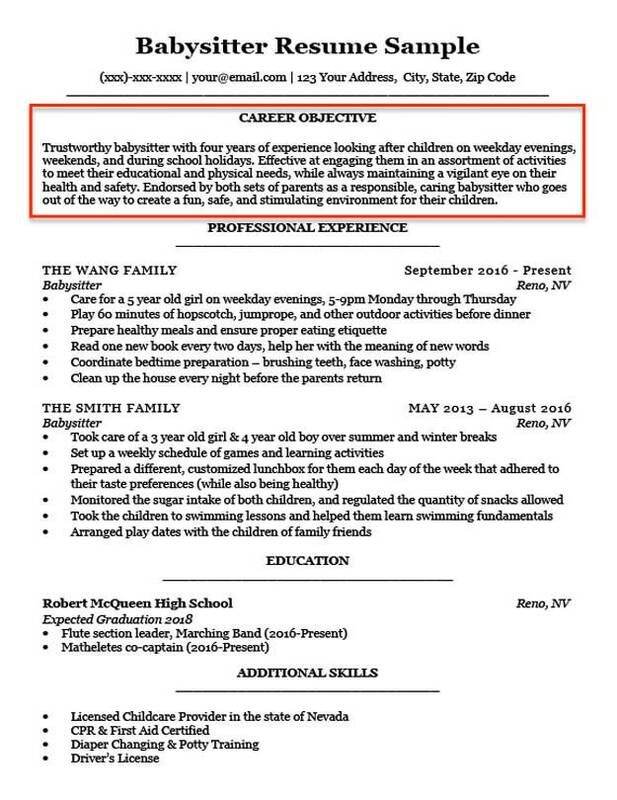 The professional in this example is applying for the role of a Marketing Manager in a startup, and has undergone relevant training. A hiring manager reading this section would feel confident that the candidate not only has a strong practical and theoretical knowledge of their profession, but is additionally passionate about progressing their career. The candidate has given the hiring manager no doubt regarding their capability to successfully fulfill the requirements of the role. How did the candidate demonstrate this? By directing the hiring manager’s attention to their relevant skills, experiences, and qualifications. You should utilize every opportunity to make the hiring manager remember you. 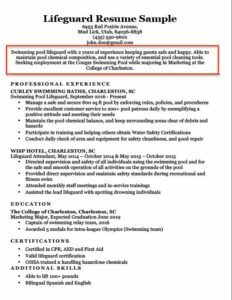 Need to make a great resume, quick? We recommend you use our HR-approved resume objective templates. Not only are they free to download, they’ll give you the best chance of landing your dream job. Still feel like your resume objective is missing something? Try spicing it up with our list of over 130 power adjectives for resumes!